I saw Geoffrey Zakarian make this on the TV show, “The Kitchen.” It looked so easy and I thought it would be perfect for my Christmas morning breakfast since I planned to have a waffle station where everyone could make their own belgian waffles on the spot. Good choice! It was delicious and was a hit with the family. Definitely a keeper for future holiday breakfasts. Combine eggnog and maple syrup in a medium saucepan over medium-high heat. Bring to a simmer and cook until reduced by one-quarter, about 5 minutes. Remove from heat and swirl in butter to melt. Serve warm as a topping for pancakes, French toast, or waffles. My brother-in-law, Anthony, hails from Arkansas. He loves canned cranberry sauce. He grew up eating it as part of their Thanksgiving dinners and looks for it every year so I’ve made it a point to always have a can on hand for him each Thanksgiving. That being said, have you looked at the ingredients list for the canned stuff? It’s not very healthy. It’s made with high fructose corn syrup, for one. So several years ago, I decided to try making my own jellied cranberry sauce. I even bought a pretty mold to put it in. Now the operative word is “tried.” I tried several times and failed…. miserably. Somehow, the sauce never quite seemed to work. It either didn’t jell, or didn’t taste good, or something was always wrong. But now, by jove, I think I’ve got it! Finally, this one not only tastes good but holds its shape when taken out of the mold! If you really have to have that can shape, you can pour this into an empty can or two and chill them in the fridge until ready to serve. This sauce uses a lot of cranberries because you only use the liquid that you get from straining them. That leaves a lot of cranberries to discard. If you don’t want to waste the cranberry solids, don’t throw them away. Use them to make a second batch of cranberry sauce so your guests will have 2 kinds to choose from. Just stir in 1/2 cup or so of orange juice, or water, or even wine like cabernet or merlot into the solids. Transfer to a bowl and serve. You can even jazz it up by adding the zest from 1 large orange, a little cinnamon, allspice, nutmeg, chopped pecans, etc. Place cranberries in a colander and rinse them under cold running water, picking out and discarding any wrinkly or mushy ones, or any stems you might find. In a large saucepan, bring cranberries, sugar, and 3 cups water to a boil, stirring until sugar is dissolved. Reduce heat and simmer, stirring occasionally until all the berries have burst, about 10-15 minutes. Pour into a large fine-mesh sieve set over a 2-quart glass measure or bowl, pressing on the solids to extract all the juices. If you want your jelly to be more “clear” with less of an applesauce consistency, don’t press on the solids. Just pour the sauce into the sieve and let stand about 30 minutes or until all juices have drained through. Note that you will get less liquid this way. While cranberries are draining, place the ⅓ cup water and gelatin into a small sauce pot and stir together with a wire whisk. Let stand about a minute to soften. Add 1 cup of the drained cranberry liquid to the gelatin mixture and bring to a simmer over low heat, gently stirring with the whisk till gelatin is completely dissolved. Pour gelatin mixture back into remaining cranberry liquid and stir well. Pour cranberry sauce into lightly oiled decorative mold or small individual molds. Cover with plastic wrap, lightly pressing the plastic wrap against the cranberry sauce to prevent a skin from forming, and set aside to cool. Place in refrigerator to chill until firmly set, preferably overnight. TO UNMOLD: Run tip of a thin knife between edge of mold and cranberry jelly. Tilt mold sideways and tap side of mold against a padded work surface, turning and tapping to break the seal and loosen cranberry jelly. Keeping mold tilted, invert a plate over the mold, then invert cranberry jelly onto the plate. NOTE: Jellied cranberry sauce can be chilled in the mold for up to 3 days. It can also be unmolded 1 hour ahead and kept chilled or at room temperature before serving. I know, I know…. you can say it….. Velveeta is NOT cheese. Even the box says it’s “Pasteurized Prepared Cheese Product.” (When I was a kid I remember it used to say, “Pasteurized Process Cheese Food.”) But don’t dis Velveeta. Whatever it is, it’s delicious. Smooth, creamy, and meltable (is that a word? ), it made the best grilled cheese sandwiches ever….. the grilled cheese sandwiches of my youth that spelled comfort food. It’s what we grew up with in the Philippines. It was introduced by the Americans during World War II and stayed a big part of Filipino cuisine ever since. It’s all I knew of cheese until I moved to the United States. Velveeta makes the easiest and creamiest of cheese sauces as far as I’m concerned. You can cook it in a small saucepan over medium heat on the stove, or if you’re pressed for time, you can make it in the microwave. If you use a microwave, be sure to stop and stir in 30-second intervals so you don’t get hot spots that turn into burned spots. The sauce will thicken and firm up as it cools. Just reheat it a bit if you need to make it pourable again. If it’s too thick, whisk in some more milk until it reaches the consistency you want. Microwave Velveeta and milk in a microwaveable bowl on high for 2-3 minutes, stopping to stir every 30-seconds or so, until completely melted and well-combined. Serve immediately as a dipping sauce; pour over cooked veggies like broccoli or cauliflower; or pour over nachos. NOTE: ¼ cup is just a starting point for the milk. If you feel it’s too thick, add as much milk as you need to get it to the consistency you’re looking for. 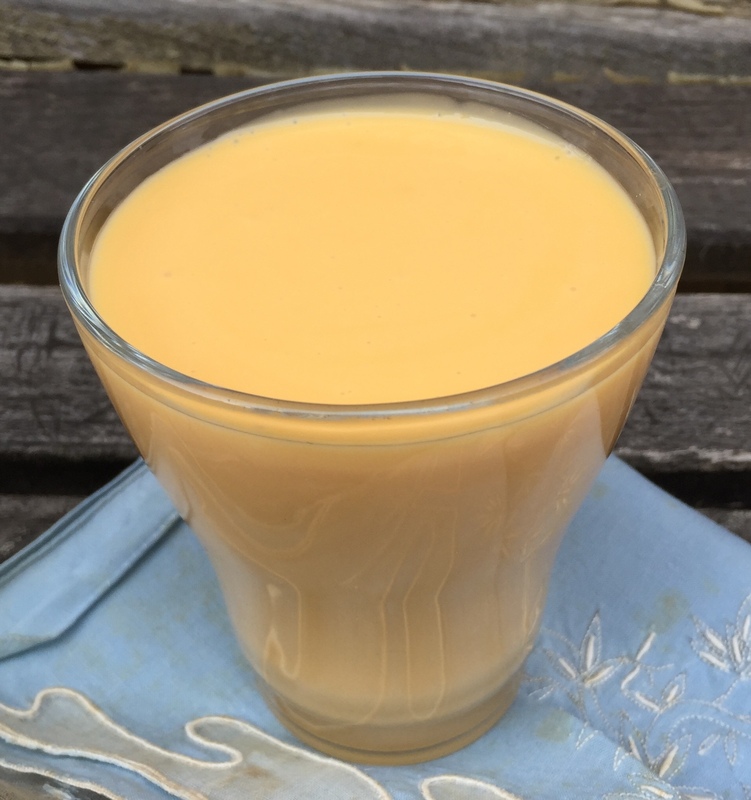 You can also add flavorings to your cheese sauce like a teaspoon or so of mustard powder, a splash of beer or white wine, a tablespoon or two of diced pimientos, a dash of Tabasco or Sriracha sauce, a half teaspoon of onion powder, or whatever else you think might taste good with cheese. La Bou is a local bakery cafe chain. They opened their first store in 1981 and it was a huge success with people lined up outside to buy their delicious handmade croissants. Since then, they’ve expanded to open several stores in the greater Sacramento area serving wonderful salads, sandwiches, soups, pastries and espresso drinks. But what they’ve really become famous for is something that’s not even listed as a choice on their menu. I’m talking about their baguette bread that they serve with a creamy dill dipping sauce. I know it sounds weird to dip slices of bread in what is essentially a salad dressing, but don’t knock it till you’ve tried it. It is so addictive that every time you go there, you’ll find yourself ordering a full or half baguette with dill sauce to take home. Anyway, it’s with extreme sadness that I report that our local La Bou in town has just closed its doors. Everyone at work was so dismayed to hear the news. They were right down the street from the office and were a favorite lunch time spot. I can’t understand why they closed. To mark this sad occasion, I’m making a copycat version of their dill dressing for the family to eat with some baguette bread this evening. I don’t know how La Bou makes their actual dressing, but this tastes just like it and will hit the spot whenever you need a La Bou fix. NOTE: If you make this in a food processor, the dip will seem frothy and bubbly immediately after mixing, but don’t worry. The bubbles will settle down and disappear after the dip has sat for a while. It will also seem very watery at first, but will thicken a bit in the refrigerator. La Bou’s dipping sauce is really pretty thin but if you want yours to be thicker, feel free to cut down on the amount of water you add. This is a super easy cranberry sauce made with fresh squeezed orange juice. The citrus juice gives it a nice bright flavor. You can cut the recipe in half if you don’t want to make so much sauce. I have a big family so two bags of cranberries suits us just fine. Cranberries have a natural pectin that is released when they burst and which thickens the sauce naturally. If the sauce becomes too thick as it cools, just stir in a little more orange juice or water till it reaches the consistency you like. Combine cranberries, sugar, orange zest, orange juice, and salt in a medium saucepan. Bring to a boil over medium-high heat, then reduce heat to medium-low and simmer, stirring occasionally, until sauce thickens and cranberries have burst, about 15 minutes. Pour the cranberry sauce into a bowl and cover with plastic wrap, pressing the plastic wrap against the sauce. This will prevent a skin from forming on top. Let cool to room temperature; then refrigerate for at least 8 hours or up to overnight. NOTE: If you prefer a sauce with a smoother texture, transfer the cranberry mixture to a food processor or blender after cooking, and pulse until sauce is to desired texture. 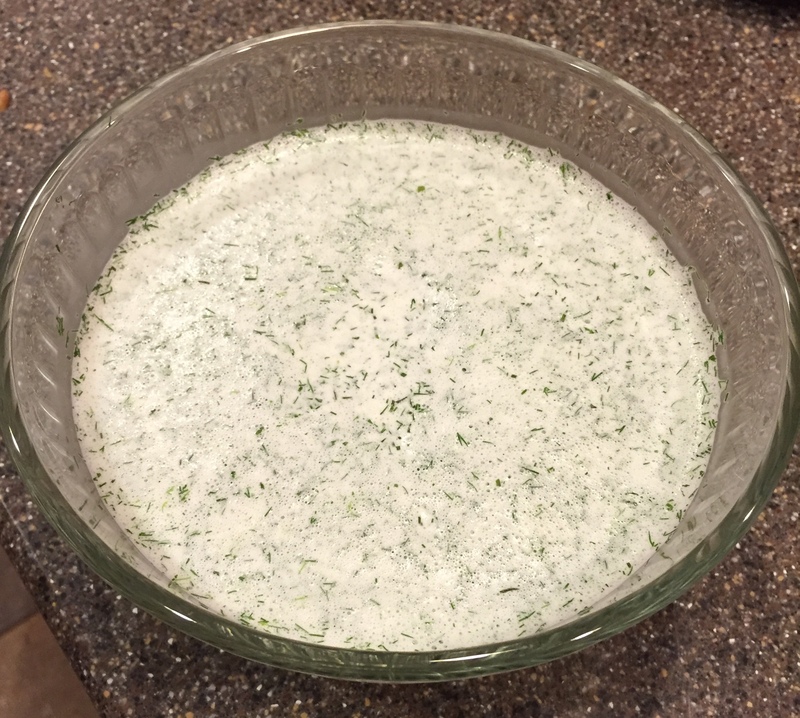 Have you ever tried Tzatziki sauce? Tzatziki is a yogurt based sauce that is very popular in Greece. 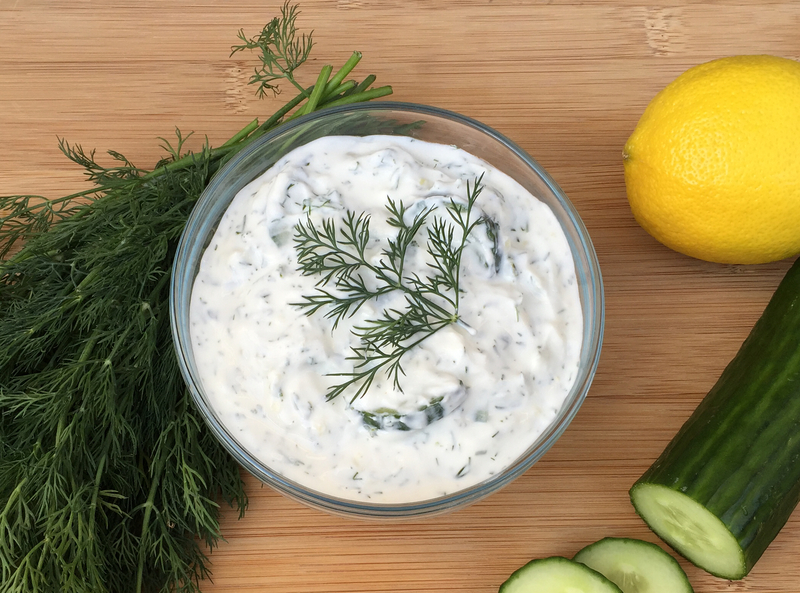 Rich and creamy, Tzatziki sauce is typically served cold with grilled meat. It is also often served as a dipping sauce. Tzatziki is best made with Greek yogurt, but if you can’t get Greek yogurt, you can use regular yogurt. It will have a runnier consistency but as long as you don’t mind that, it’s fine. Alternatively, you could make your own “greek” yogurt by taking a piece of cheesecloth, folding it in half, and then in half again so you have 4 layers. Lay the cheesecloth in a bowl, pour the yogurt into the center of the cheesecloth, then pick up the 4 corners and tie them together. Hang the cheesecloth bag over the bowl for about 2 hours or so. This will drain the water out and thicken the yogurt giving it a more “greek yogurt” consistency. Place the greek yogurt into a medium bowl. Finely chop the cucumber. You could also grate it, if you prefer. Add the cucumber to the yogurt. Smash, then finely mince the garlic and add to the yogurt. Start with 3 cloves first, then add more if you want it more garlicky. Add the lemon juice, dill, salt, and pepper, and stir all together well. Cover with sarap wrap and chill in refrigerator until ready to use. NOTE: This recipe is very versatile. I’ve given you a base to start from but you could really make it to suit your own tastes. If you like lots of cucumber, you could add more; if not, add less. If you want it more lemony, add more lemon juice; or less. Same with the garlic and dill. Just play around with the amounts till the sauce is to your liking. Otherwise, the base recipe is great as is. Tzatziki will keep for a few days in the refrigerator, but as it sits, water from the yogurt and the cucumbers will separate. Just stir it well before serving. Or for a thicker consistency, you could pour out the water and then stir the sauce. 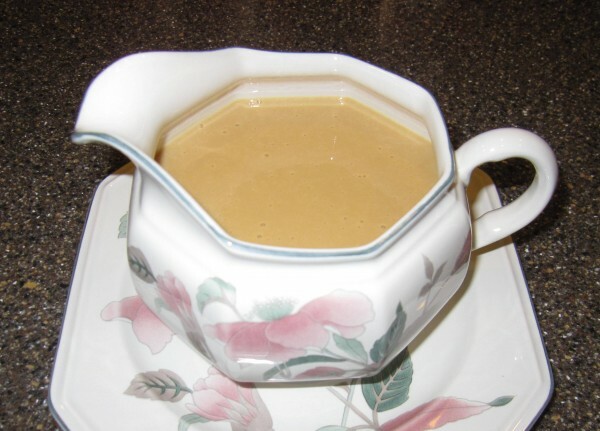 I created this sauce to serve with my Coffee Panna Cotta but it could be used as a sauce for ice cream, chocolate soufflé, pound cake, or anything else you might want to serve with a dessert sauce. I cook it just until it’s heated through and the cream cheese is completely melted. If it comes to a boil, take it off the heat. I wouldn’t let it cook for too long or it might become too thick to pour. Place all ingredients except the butter into a small saucepan. Cook over medium-low heat, stirring continuously with a wire whisk, until mixture is smooth and well blended. You don’t need to bring it to a boil. NOTE: You can store this sauce for up to a week in the refrigerator but it will thicken when it’s chilled. To use, warm it for 30 seconds or so in the microwave. If it’s still too thick, stir in a little cream or milk until it reaches a pourable consistency.